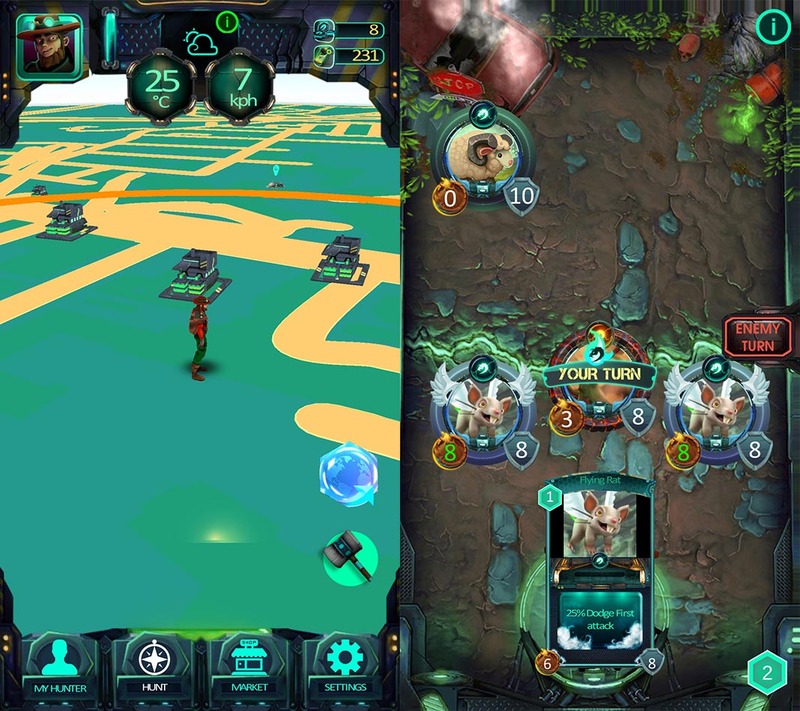 Apocalypse Hunters is a game that mixes the intelligent collectible card combats with real world exploration through real-time geolocation. As we’ve recently mentioned, games based on geolocation are experiencing a second wind since Google released a special API for Google Maps to develop these types of games. But since not everything can be a clone of Pokémon Go, different experiments have begun to pop up. Apocalypse Hunters is one of these new titles, with its distinctive feature being that it offers collectible card combats, seasoned with the exploration of your surroundings using its active location system. 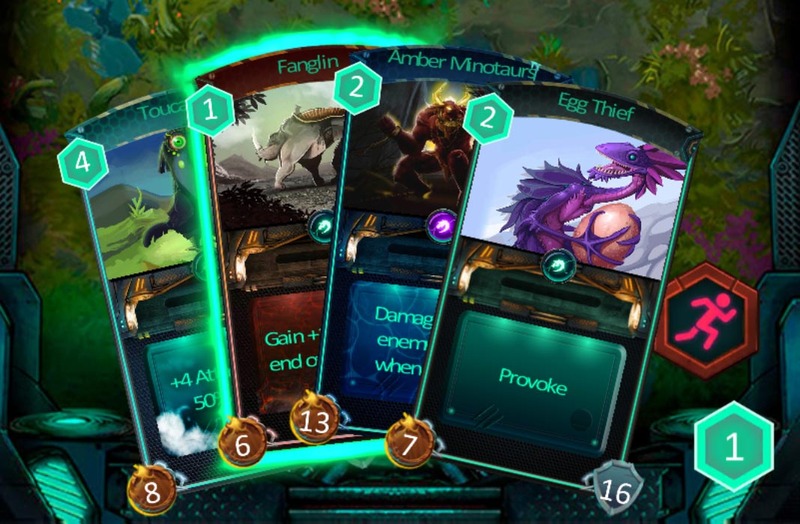 As a base, we have a run-of-the-mill collectible card game where you fight against other real players through a combat arena. Turn-based controls, cards with attack and defense points, additional effects . . . nothing new, except for the fact that you only have three card slots to summon creatures. That said, when it comes to getting new cards for your deck, that’s where the GPS geolocation part comes in. In your surroundings, you’ll find buildings similar to the gyms in Pokemon GO (or portals in Ingress), where you can get energy. Along your journey, you’ll come across monsters that you can defeat and add to your ranks through the card system mentioned previously. Plus, the monsters you use in the battles will become stronger as you level up, so you’ll have to fight long and hard if you want to find and capture the inevitable rare and legendary creatures roaming the world. Apocalypse Hunters may not have the degree of artistic refinement that other games like Hearthstone demonstrates. The character graphics are renders that could be taken from any 3D animated TV show, and the design of the menus are a little rough around the edges. But that doesn’t negate the fact that it’s an interesting concept that tries to put a new spin on a subgenre that could have easily ended up stagnant before ever becoming popular.